The Fourth Industrial Revolution (4IR) is exerting a powerful effect on foreign capital inflows into Vietnam, forcing the local government to issue far-reaching reforms in order to catch up with new-generation foreign direct investment (FDI). 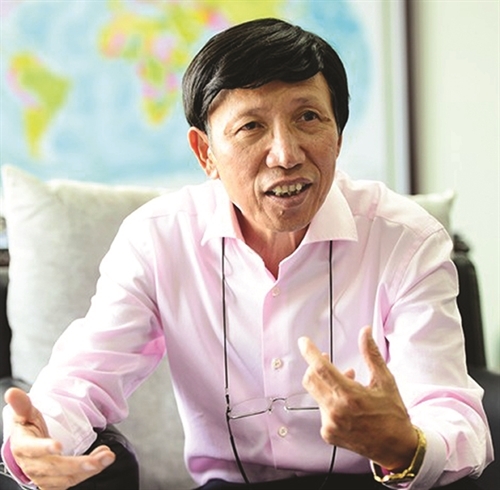 Phan Huu Thang, Vice Chairman of Vietnam’s Association of Foreign-Invested Enterprises, told Vietnam Investment Review that hi-tech processing and manufacture, smart agriculture, healthcare, education and training, and renewable energy will be the hottest sectors for FDI in the coming months and years. New-generation FDI is ­required by the Government to be more selective and focus on sectors that utilize hi-tech and ­environment-friendly solutions. There are concerns that this will reduce the number of foreign-invested projects in the country. What should be done to increase both the quantity and quality of FDI? The new-generation FDI strategy aims to create breakthrough growth as well as sustainable economic development based on the achievements and lessons of the country’s 30-year economic restructuring process, along with FDI mobilization and use. In my opinion, it is quite necessary to focus on the selection of FDI capital because in the long term it would be counter-productive to exchange the environment and natural resources for momentary growth, as the price of such deals will be extremely high. This means we need a clear direction for FDI mobilization for every sector and locality, while balancing capital and human resources. In investment promotion, we should reduce unnecessary activities that cause waste and are costly. Recently, many investment promotion forums have been held across the country, announcing a lot of billion-dollar projects. However, the disbursement of these projects has failed to be controlled. To remedy this, we need to add regulations to monitor the implementation of FDI projects to narrow the gap between registered and disbursed capital. For example, specific criteria and requirements on capacity, experience, and financial capacity of investors should be introduced to ensure the transparency and performance of these projects, along with regulations on the time line of capital contribution to ensure progress. In order to improve the efficiency of this capital mobilization channel, we should overcome the current shortcomings in the process of FDI attraction, such as the weak linkages between foreign-invested enterprises and domestic ones, relatively underdeveloped supporting industries, and environmental pollution. Generally, in addition to mobilizing new-generation FDI, we also need to facilitate the development of the private sector. What difficulties does Vietnam face in actualizing its new FDI strategy, and how can the country overcome them? Mobilization of new-­generation FDI in the coming time would depend on many factors. In addition to desire and ­determination, we need to pioneer 4IR-ready human ­resources who can drive ­innovation, creativity, and proactivity. Moreover, the implementation of other breakthroughs like institutional reform, ­infrastructure development, human resource training, and development of the private sector are all progressing at a slower pace than necessary in 4IR. Additionally, there are difficulties in the implementation of policies and directives issued by central agencies at the local level regarding the encouragement of the private sector, while the fluctuations of the world economy already have a great impact on Vietnam’s economy. What urgent solutions should Vietnam take to catch up with new-generation FDI? In general, Vietnam needs to simplify investment ­procedures and develop synchronized infrastructure facilities in order to welcome new-generation foreign investment capital flows. Also, the country would need to be more selective in attracting projects through determining which projects are suitable for each sector and region and, at the same time, issue methodical investment promotion programs. The volume of foreign capital attracted will also depend on this activity. Thus, it is necessary to work out investment promotion programs with a focus on interdisciplinary and inter-regional projects and product value chains. Local authorities need to suggest specific investment destinations to multinational groups and provide necessary information to convince investors to invest in the country.